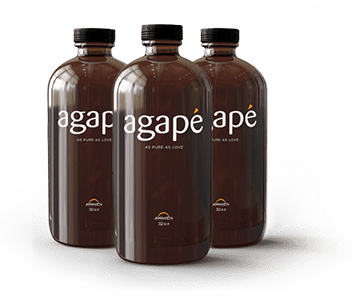 Agapé is the finest Liquid Multivitamin/Mineral in the World. Agapé contains 25 Vitamins and Minerals including methylated folic acid. Agapé is formulated to ensure unmatched bioavailability and maximum absorption. Agapé is a Pleasant tasting liquid multivitamin designed for even the most sensitive individuals. Agapé is free of gluten, dairy, corn, soy, food dyes, and artificial sweeteners. Agapé is sold only in glass bottles.